Foals see their parents for the last time. The majority of Wyoming wild horses rounded up by BLM in March 2014 were sold to a Canadian slaughterhouse for human consumption. 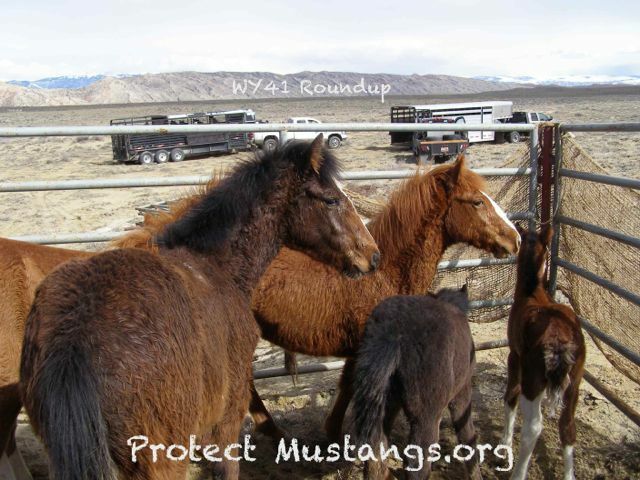 Protect Mustangs.org rescued 14 youngsters (WY14) before they were slaughtered. Despite nationwide outcry, the Bureau of Land Management plans to continue rounding up America’s wild horses and burros–even though most of their holding facilities are inhumane without shade and shelter. They are already stocked full with 50,000 native equids. The Burns Amendment to the Wild and Free Roaming Horse and Burros Act of 1971 puts ALL those in holding at-risk of going to slaughter. This is very dangerous. This week’s Wild Horse and Burro Advisory Board Meeting was revealing. The BLM plans to exploit our treasured wild horses as lab rats for pharmaceutical research on various forms of drug/fertility control, 80% of the forage is going to livestock not wild horses and burros and more than 2,000 wild horses are slated for removal in the next fiscal year starting this fall. 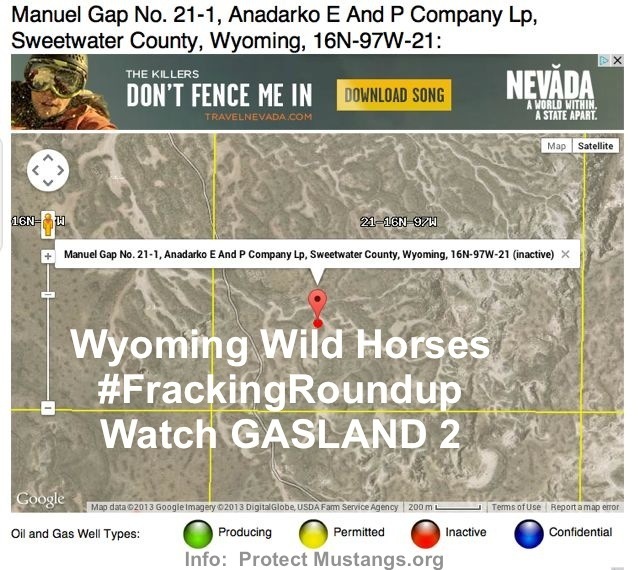 That’s after the massive checkerboard removals in Wyoming now being considered by a judge–with the governor of Wyoming and the Rock Springs Grazing Association breathing down his neck to roundup the mustangs ASAP. Public outcry must get louder! It’s important to create awareness around the BLM’s cruel roundups–funded with your tax dollars. We need to let people know what’s going on and t-shirts are an easy, grassroots way to do this because you basically become a walking billboard. People will naturally ask questions about your t-shirts and that’s when you can educate them and enlist support for America’s wild horses and burros. Gifting t-shirts to friends and family puts the STOP the ROUNDUPS message into their extended circle of friends too. Our website address is on the t-shirt so people can go there for more information about what’s going on. 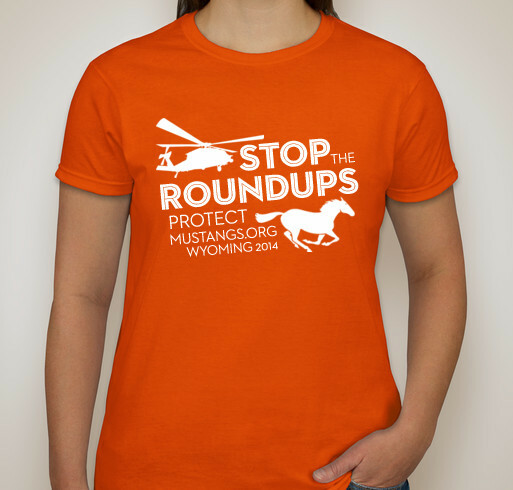 We are doing a special run of “STOP THE ROUNDUPS Wyoming 2014” t-shirts with only hours left to meet the goal so they will go to print. The fundraiser is right here: https://www.booster.com/protect-mustangs All funds raised go to feed and care for the wild horses in our Outreach Program. We are 100% volunteer and able to serve America’s wild horses with donor support because we aren’t selling out. Helping America’s wild horses in crisis takes a village. . . Write your elected officials weekly http://www.contactingthecongress.org to request they defund the roundups, bring captives shade and shelter and re-protect our treasured wild horses and burros in the wild. 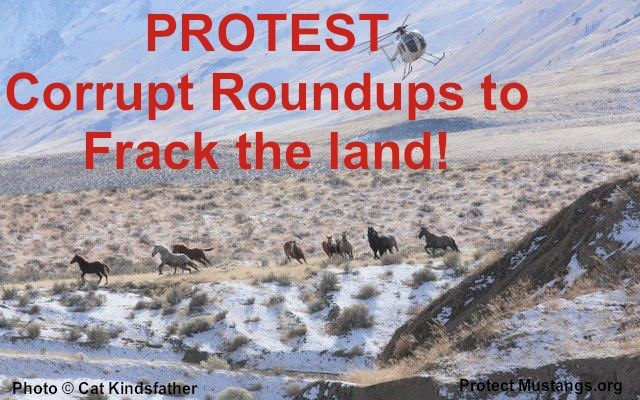 Sign up at our website www.ProtectMustangs.org for alerts. 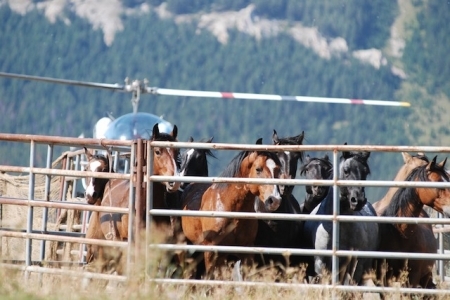 Please share the petition for shade and shelter https://www.change.org/p/bring-emergency-shelter-and-shade-to-captive-wild-horses-and-burros because we need to double the signatures going to officials in Washington. They are watching this petition. Thank you for caring and helping America’s wild horses and burros. Together we can turn this around. Today the Adobe Town – Salt Wells Roundup (Wyoming) has captured 668 native free roaming wild horses and 3 have died so far. A foal was trampled to death in a trap and killed . . . They suffer and are at risk of being sold to slaughter through middlemen “buyers” by the truckloads if they are over 10 years old or not adopted during 3 live or internet adoption events. The government would like you to think they are overpopulated. Even the National Academy of Sciences reported there is “No Evidence” of overpopulation. It’s all spin to strip them of their rights on the land. We are working hard for their freedom and to return them to public land. In the meantime they need shelter from the harsh elements while they are held captive. The government isn’t doing anything to help them. They don’t care. Please share the petition far and wide to help America’s wild horses! 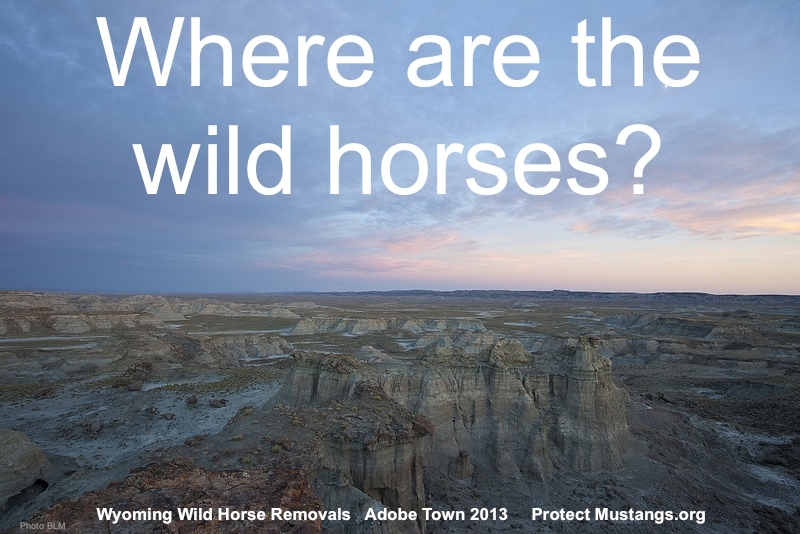 BLM to begin Adobe Town/Salt Wells Creek wild horse roundup this week! 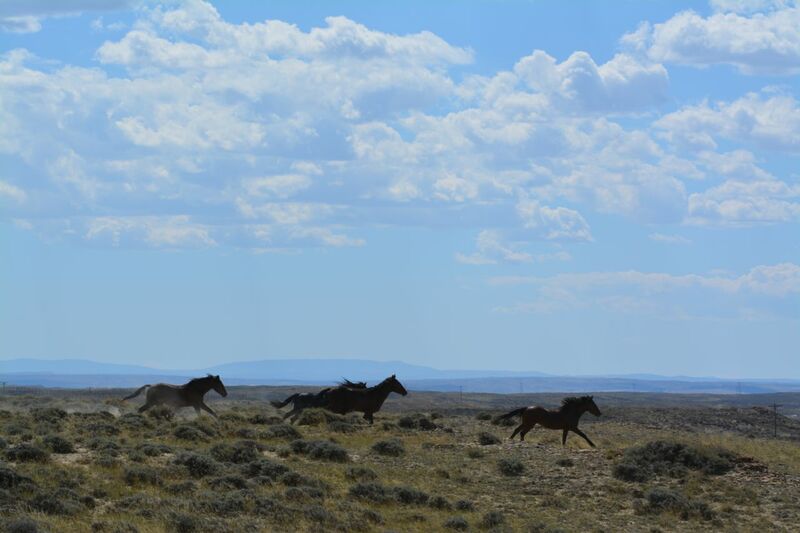 The Bureau of Land Management (BLM) Rock Springs Field Office will begin a wild horse gather in the Adobe Town and Salt Wells Creek (ATSW) Herd Management Areas (HMAs) located south of Interstate 80 to the Wyoming/Colorado border from Rock Springs to Wamsutter, Wyo. this week.The BLM will gather approximately 700 wild horses, treat with PZP-22 fertility control, release and remove mustangs. The two HMAs are jointly managed as the ATSW Complex (“Complex”) because of unrestricted movement of wild horses between the two areas. 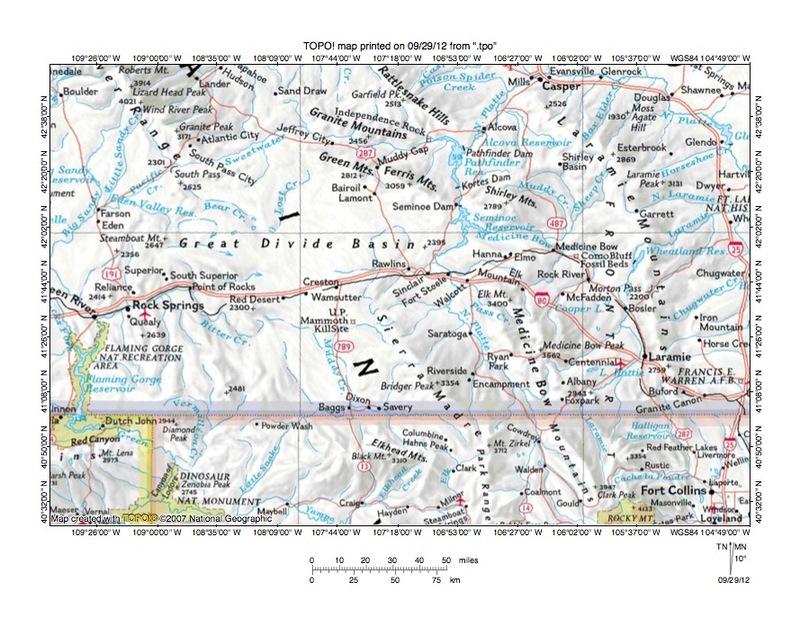 The Complex is located in the checkerboard pattern of mixed public, private, and state land ownership in Sweetwater and Carbon counties. 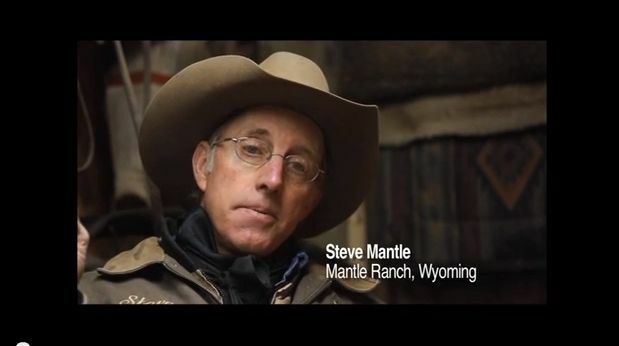 The BLM respects private land-owner rights while managing wild horse populations. The ATSW Complex includes approximately 510,308 acres that are privately controlled. The gather conforms to the Rock Springs Grazing Association (RSGA) Consent Decree ordered by the U.S. District Court on April 3, 2013, to remove all wild horses from private lands within the checkerboard portion of the ATSW Complex in 2013. There is no anticipated closure of public lands, except if deemed necessary due to safety concerns. Hunters and other outdoor recreationists should be aware that brief road closures may be needed to allow movement of wild horse herds and that low flying aircraft will also be present in the area. The BLM requests pilots avoid flight patterns through the ATSW Complex as air traffic could pose a safety risk. Helicopters used in gather operations often have to change course and altitude quickly. The gather is expected to last roughly four weeks, or until the designated number of excess wild horses have been removed from the HMAs. The Complex was last gathered in October 2010. If interested in viewing the gather, contact Serena Baker, sbaker@blm.gov, to be added to the anticipated visitors’ log. Only individuals listed on the visitors’ log will be contacted with daily viewing sites, times, and locations of where to meet. Please read the “Know Before You Go” tip sheet at: www.blm.gov/wy/st/en/programs/Wild_Horses/13atsw-gather/public-observ.html. Also, please be aware that gather operations will focus largely on private sections within the checkerboard, so public viewing opportunities may be limited. Public viewing sites will be designated on public lands a safe distance from wild horse trap sites, and outside the aircraft flight plan. Please be advised that gather operations are fluid and may change at any time. For example, the team may need to move and reconstruct trap sites. Weather conditions are uncertain. Delays of one or more days may be necessary. We encourage you to monitor our website closely for the most up-to-date information. The BLM appreciates your patience. The Rock Springs Wild Horse Holding Facility will be closed for on-site tours and adoptions during gather operations. The wild horses being gathered will be brought to the holding facility to be health inspected, vaccinated, and tested for Equine Infectious Anemia or Coggins. However, the facility’s public viewing kiosk will remain open daily. Animals removed from the ATSW Complex will be available for adoption. The BLM Wild Horse and Burro Adoption Program applications and requirements are available at: www.blm.gov/wy/st/en/programs/Wild_Horses/adopt.html.